Now that’s a headline . 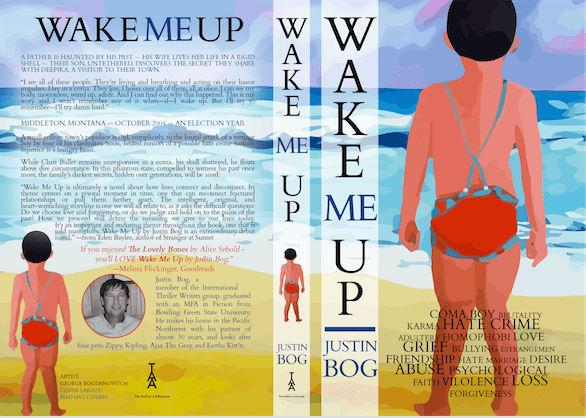 . .
A year ago I nominated my first novel, Wake Me Up, a complex literary crime novel narrated by the victim of a brutal beating while he recuperates from his medically induced coma. Since then, a lot has happened, and I didn’t expect Wake Me Up to make the cut since its publisher called it quits, and each of my books became abandoned tomes, instantly. Now? I move forward, a feather in the life of any book that becomes resurrected. If you haven’t discovered Wake Me Up, please give it a read. It’s a family drama, with secrets and lies that rise to the surface. The narration spirals, dips, and dives into curious places, and there’s a new Book Club Reader’s Guide of 20 questions added in the new paperback and kindle edition. 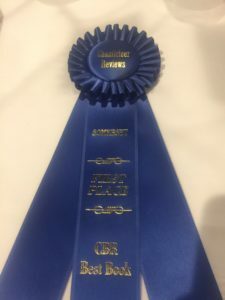 I was awarded a big blue ribbon for coming in First Place for the literary Somerset Book Award along with several other authors and their terrific books. I was quick enough to snap a photo of this ribbon at the Awards banquet that took place on April Fool’s Day. I will always cherish that experience, and wish for more blue ribbons, even replacement ribbons if these ever become lost or misplaced. That’s an inner joke! I’m not great at holding onto material possessions, meaningful ones somehow become lost with more frequency. 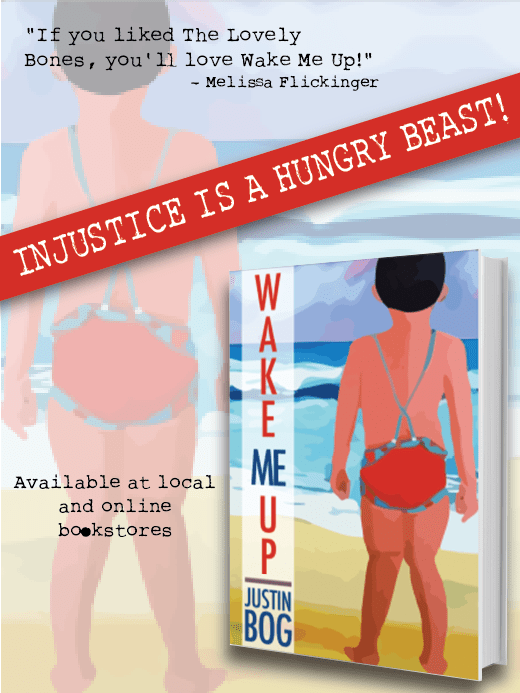 So, please give Wake Me Up a chance, and share the news with your friends and family who love good books. You can find the new edition of Wake Me Up at Amazon in both paperback and kindle. If you buy the paperback, the kindle version is free.